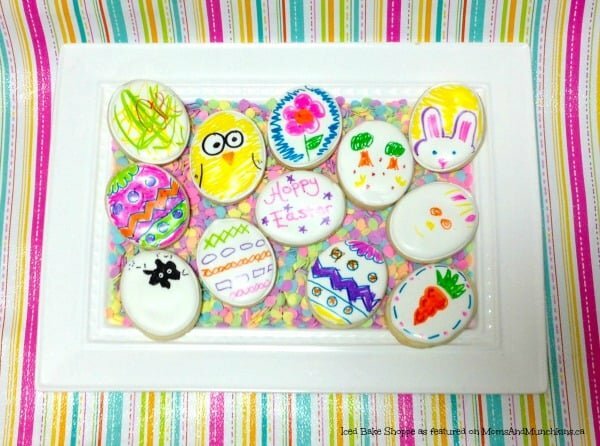 This Easter sugar cookies craft post is courtesy of our contributor Leah…With Easter approaching, it is a great chance to make goodies for family, friends and schools. Many of my mommy friends have asked for ideas that are easy to make, as time is at such a premium, and can include kids of all ages. Cookies don’t have to be complicated to be fun. This tutorial is simple on prep, and can be used to keep the kids occupied, or used as a family activity. Best of all, other than food color markers, you can use any cookie cutter you already have. No need to run out and buy oodles of tools, colors or cutters. Optional: For younger kids, you can outline a basic pattern in any color to give them a basic shape to follow. Or let your petite Picasso create their own masterpiece. They make wonderful presents for grandparents, or for your child(ren) to take to school with them. 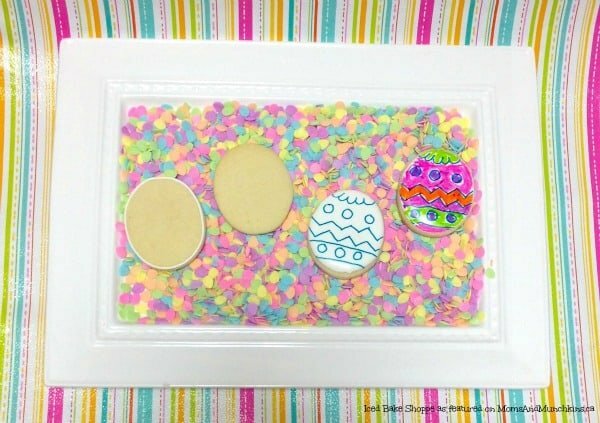 Get your kids to make dinner place markers for Easter dinner for each guest. It is a great way to add a personal touch to a decorative table, and include the little ones in the food prep. They’ll love creating edible artwork to share with everyone. If you are brave, you can always give the kids some icing, sprinkles, loose candies and other embellishments to decorate the cookies. This will likely result in a bigger cleanup – but will also potential result in bigger fun (and more secret snacking I expect). The cookies can be made in advance and frozen. To do this, just make sure the cookies are in a sealed, air proof bag or container as the moisture in the freezer can get into the icing and make them sticky. Then you can pull them out a few hours before you wish to decorate them. Making a bunch of different shapes and sizes, and sticking them in the freezer means being able to pull a sweet activity out when you need it the most – or just really want cookies for dessert. These activity cookies are sure to keep children and adults alike busy. Just keep an eye out for little tongues going rogue. A big THANK YOU to Leah of Iced…Bake Shoppe for sharing this recipe and tutorial with us. Be sure to follow her on Facebook for more delicious creations and yes – she ships throughout Canada and the US! 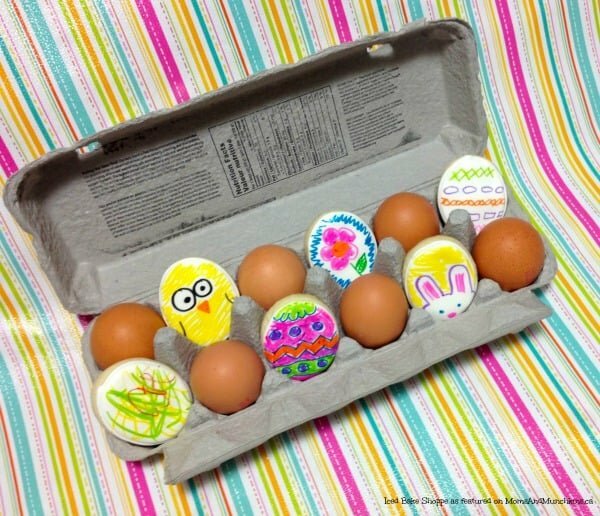 For more fun Easter activities, visit our special Easter Fun page! maling cookies could be fun! Those look like a lot of fun to make. Hope to see you there again this week! I am dreaming that someone would invite my daughter to decorate those 😀 I am featuring this post in Kids in the Kitchen Round Up for After School Link Up next Monday. Love this idea for an Easter Brunch! Featuring at Family Fun Friday!